You know sometimes your stirrups are slightly uneven? Like one’s half a hole longer. So you shorten it. And then it’s too short. So you end up riding fully aware of the lack of levelness in your stirrups. And then blaming any small error, tension, or crookedness on the fact your stirrups aren’t quite right. Well. I have a solution. Apart from switching your stirrup leathers regularly so that the shorter one is on the near side. It will stretch as you mount. I was taught this by a colleague in a riding school, where matching stirrup leathers are rarer than saffron! Get your stirrups as even as you can, and then with the end of the leather, pass it behind the top leather. So that it sits just below the buckle. Then thread the end of the leather through the keeper. 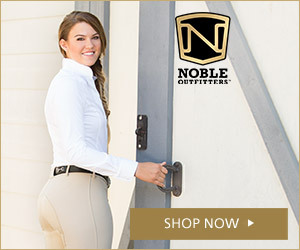 This configuration lies flat against your inner thigh, so doesn’t cause any rubs, and is usually enough to shorten your stirrup length by half a hole. Thus making your stirrups level!